The world is about to be dragged off to a nameless place for a nameless purpose, and there's nothing you can do about it. Have a nice day! Frank Blocker's adaptation of H.P. Lovecraft's The Call of Cthulhu, currently on stage at the Lex Theatre in Hollywood, is deceptively ambitious: though unassuming in its outward appearance - a one-man show on a single set, augmented with a handful of effects - the play is extensive in scope, telling a story that spans continents, oceans, and decades - even eons - of time, delivering a knock-out sucker punch to the self-satisfied complacency of humanity that would have made Lovecraft proud. The Call of Cthulhu deftly surmounts the difficulty of getting Lovecraft off the page, a difficulty that has defeated many a previous adaptation, especially in the cinematic form: the tangible elements of the New England author's fiction - ancient books, mysterious cults, weird things that go bump in the night - are little more than shopworn cliches; separated from the quintessentially literary quality binding them together on the page, these bits and pieces end up stitched together into some second-rate Frankenstein Monster, bereft of soul. What distinguishes Lovecraft in the field of horror and weird fiction is the underlying sense of a malign cosmic conspiracy, of forces beyond our understanding and almost beyond our perception - until some unfortunate character connects the dots, shattering our naive sense of a benign universe. In an amazing bit of theatrical jiu-jitsu, this potential pitfall - a yawning abyss of eldritch horror, into which so many previous adaptations have fallen - is o'er-leaped by The Call of Cthulhu, which transforms the challenge from weakness into strength, yielding a seventy-five minute progression of gradually accumulating anxiety and dread, as Blocker's narrator pieces the unpleasant puzzle together for the audience. As the bearer of esoteric knowledge that is ultimately destructive to one's own sanity and physical well-being, Blocker's ambitious academic charts his own descent into despair, while - with a sly chuckle and a glint in his eye - passing on the same knowledge to us, in effect dooming the audience to share his fate. Though not interactive in any sense, this intimate approach allows The Call of Cthulhu to break the proverbial Fourth Wall on a more metaphysical level, sending its horror not into your nervous reflexes for a quickly forgotten jump-scare but deeper into your bones, where it can fester after you have left the theatre. The story is far from theatrical in the conventional sense, offering little in the way of drama or characterizations. The Call of Cthulhu is really a series of vignettes tied together by Blocker's narrator, a university archaeologist studying documents left to him by his late uncle. Following up on his uncle's research, the archaeologist begins as a skeptic; then comes to believe he has discovered a cult that practices a previously unknown religion; and ultimately concludes that this religion is true, its ancient alien god Cthulhu sleeping in a sunken city until the time when it will rise and claim dominion over Earth. The Call of Cthulhu winds up feeling like a lecture assembled from a series of disparate academic papers that have been collated to form a pattern: in isolation, the pieces mean little; only together do they yield meaning. To paraphrase one critic's reaction to director David Fincher's film Zodiac (2007), the effect is a bit like being locked in an archaeologist's archive for two hours. However, The Call of Cthulhu sustains an ominous mood of discovery, of irresistibly reaching for some elusive knowledge regardless of the consequences. It is perhaps in the nature of this approach that there are some inevitable lulls, especially early on. In keeping with the source material, the horrific effect is cumulative in impact; the build-up is gradual, seldom if ever punctuated with shock effects. At times, the academic tone is almost too dry, and at least one vignette (Blocker uses dolls to illustrate the story of two men whose theft of an idol led to their doom) is not only gratuitous but also too ineffective to justify inclusion for its own sake. Nevertheless, Blocker holds the audience rapt for most of the seventy-five-minute running time. Starting as a cultist drawing a magic circle and chanting incantations in an ancient language, Blocker embodies all the characters and does an incredible job verbalizing Lovecraft's alien-speak (representing the human voice's vain attempt to pronounce the unspeakable intonations of the Elder Gods). Morphing from mild academic interest to the eager enthusiasm of discovery and eventually into the abject terror of unwanted awareness, Blocker builds his performance to an unnerving climax that would strain any actor's talent, let alone his vocal cords. However, the performance is not merely a gimmicky tour-de-force of acting skills. As the archaeologist corroborates his uncle's findings, Blocker convincingly takes on the accents and mannerisms of the characters the archaeologist interviews. In a sense, Blocker is playing only one character - the archaeologist* - and everything else we hear is not what other characters said but what he says they said to him; thus, the play maintains the first-person point-of-view of the story, leaving us to wonder how much of what we hear is true. Perhaps the archaeologist's self-described voyage of discovery is really a descent into superstition and paranoid delusion, but his transition from skepticism to belief is infectious, forcing the audience to empathize with the character's plight - as well we should, since the ending suggests in no uncertain terms that we are next on the menu (in a clever and unexpected way, Cthulhu literally reaches out from the stage for us). The subjective, almost confessional tone allows Blocker's grasp to equal his ambitious reach, enabling him to verbally convey both the suggestion of unseen cosmic horrors and, at the climax, a more tangible manifestation, all from a tiny stage, aided only by sinister sound effects and shadows, an ominous silhouette, and a final glimpse of... something enormous. Though the production is notable for its restraint, the subtle effects of lighting and music are well orchestrated by director Dan Spurgeon to achieve maximum impact, building to the appearance of its titular, tentacled monstrosity, which is all the more effective for being rendered as a shadowy glimpse of a silhouetted figure with glowing eyes. Any less would have been a disappointment; any more would have been too much. 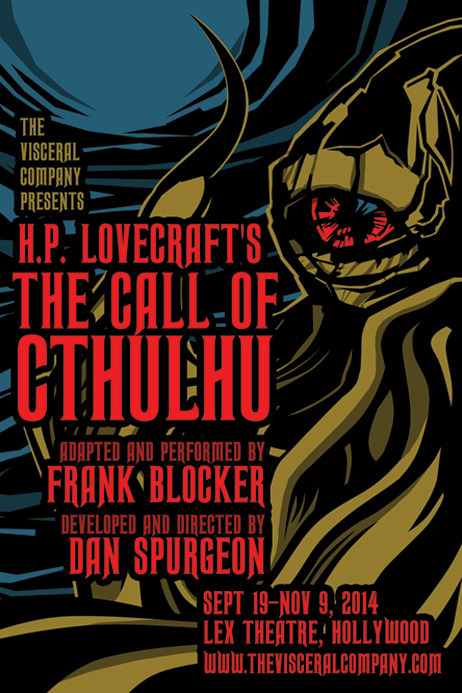 The triumph of The Call of Cthulhu is that it transcends the limitations of the stage. What would have been the visceral, effect-filled climax of a film version (a ship plowing through Cthulhu when the monstrous leviathan rises from his sunken city in the sea) is rendered effectively enough with voice, body language, and shadowy figure projected against a translucent screen. But more importantly, the action turns out to be not the climax but rather another piece of the puzzle leading to the true metaphysical climax, the realization that the next link in the chain has been forged as the archaeologist has bequeathed to us the "benefit" of his revelations, opening our eyes to hidden secrets that no mind can tolerate. See The Call of Cthulhu at your peril; the price of admission is your sanity. H.P. Lovecraft's The Call of Cthulhu continues through November 9 (extended to) December 6, with Friday and Saturday performances at 8pm, and Sunday matinees at 3pm. Tickets are $20; use the code ALHAZRED when you order online and get $5-off. The Lex Theatre is located at 6760 Lexington Avenue, Hollywood. Get more info at the theatre website. SPOILER: This interpretation seems to be confirmed at the end when we see that the cultist from the opening scene is not a separate character but the archaeologist himself, who has "gone native" and succumbed to the beliefs he was studying. Seeking more Halloween horror shows in Los Angeles? 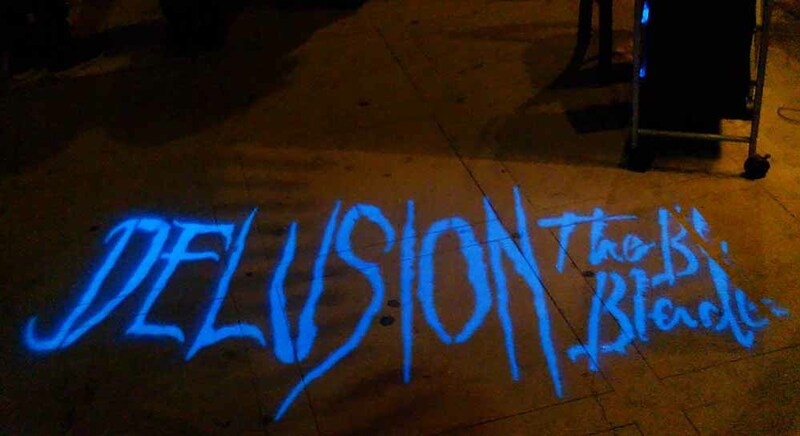 Check out our Live Performance, Halloween Haunts, and Halloween Haunts: Tours and Shows. 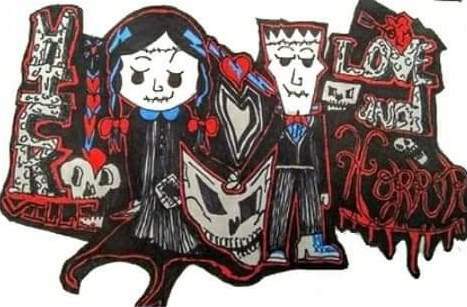 ← Musical Ghost & Mrs. Muir returning from the dead?